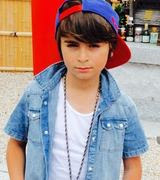 Chance Hurstfield is busy taping his lead role on the 20 episode preschool animated series Chip And Potato for DHX Media. DHX Media Ltd is a leading children’s content and brands company, recognized globally for such high-profile properties as Peanuts, Teletubbies, Strawberry Shortcake, Caillou, Inspector Gadget, and the acclaimed Degrassi franchise. One of the world’s foremost producers of children’s shows, DHX Media owns the world’s largest independent library of children’s content, at 13,000 half-hours. It licenses its content to broadcasters and streaming services worldwide and generates royalties through its global consumer products program. Through its subsidiary, WildBrain, DHX Media operates one of the largest networks of children’s channels on YouTube. Headquartered in Canada, DHX Media has 20 offices worldwide. Visit us at www.dhxmedia.com. Storyline: set in a brightly coloured, joyful, tightly knit community where every house reflects its animal inhabitants’ tastes and traits, this is an animated comedy drama for the upper end of the pre-school audience. With a wide range of rites of puggy-passage stories, this series captures in a very special, unique, safe, funny and relatable way how to get through major “firsts” when you are a little pug, just five years old. DON”T MISS THE SEASON 3 FINALE OF iZOMBIE TUESDAY JUNE 27TH!!! “Looking for Mr. Goodbrain, Part 2” – Watch it on CW or Netflix! SEASON FINALE PART 2 – Liv (Rose McIver) uncovers a shocking truth with far-reaching consequences. A reeling Major (Robert Buckley) looks to the future, and Clive (Malcolm Goodwin) gets closure. Meanwhile, Blaine (David Anders) makes a business proposal. Rahul Kohli and Aly Michalka also star. The episode was written by Rob Thomas and directed by Dan Etheridge (#313). Original airdate 6/27/2017. Sarah Goodwill wraps shooting on Season 2, Episode #208 of Travelers. Netflix and Canada’s Showcase have picked up a second season of Travelers, their original time-traveling sci-fi series starring Eric McCormack for premiere in 2017. 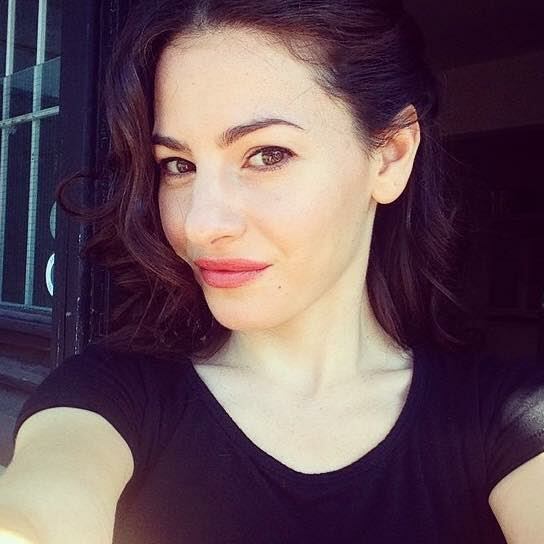 Production on Season 2 of the Canadian-made drama has started in March in Vancouver. Netflix, which carries Travelers globally except for Canada, will debut Season 2 following the series’ second-season airing on Showcase this fall. 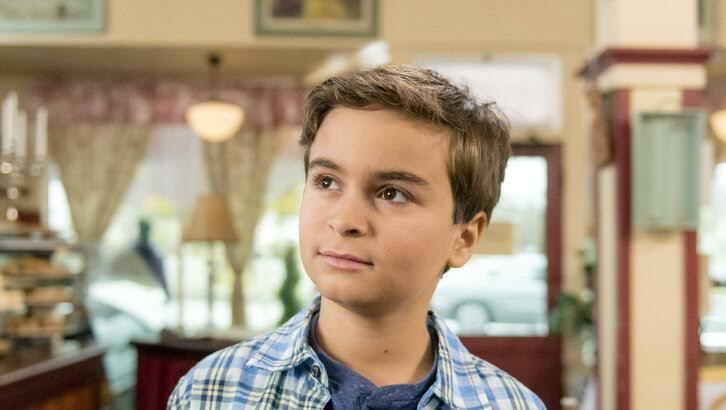 McCormack’s schedule already has been set to accommodate both Travelers Season 2 production and the upcoming 10-episode new installment of NBC’s comedy series Will & Grace. 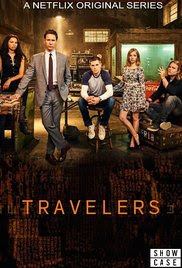 Travelers creator and writer Brad Wright (Stargate SG-1, Stargate: Atlantis, SGU) is set to return for Season 2, along with stars McCormack, Jared Abrahamson, Nesta Cooper, Reilly Dolman, Patrick Gilmore and MacKenzie Porter. Season 2 picks up on the group’s realization that their missions might have altered the future in ways they did not predict. Travelers, which debuted in Canada in October, was the highest-rated new fall series across Canadian Specialty, according to Numeris data. The series’ first season was released by Netflix in December. Chance is still on a ‘role’!! Syfy The NBCUniversal-owned cable network has acquired the 13-episode series Ghost Wars from Nomadic Pictures, with Simon Barry (Van Helsing) as showrunner and starring Vincent D’Onofrio and Kim Coates. The drama, set in an Alaskan town overrun by paranormal forces, will premiere in the U.S. on Syfy and elsewhere globally on Netflix. Ghost Wars is created by Barry, who expands his relationship with Syfy following Continuum and fellow acquisition Van Helsing. Production on the drama started May 1 in Vancouver. The series revolves around local outcast Roman Mercer (Avan Jogia, Nickelodeon’s Victorious,Tut) who must overcome the town’s prejudices and his personal demons if he’s to harness his repressed psychic powers and save everyone from the mass haunting that’s threatening to destroy them all. D’Onofrio (Daredevil), Coates(Sons of Anarchy), Kristin Lehman (Motive) and Meatloaf (Fight Club) star. David Von Ancken (Tut), who previously worked with Nomadic on AMC’s Hell on Wheels will direct. Ghost Wars is executive produced by Nomadic’s Oakes and Frislev, Barry, Dennis Heaton (Motive) and Von Ancken. Nomadic Pictures will distribute the series within Canada, the U.S. and the rest of the world. as a “Featured OCP” for Worldwide Internet. Eric Bempong does a background role in “Project Scratch” for eczema medications. For all media to include Broadcast TV, Cable, Industrial, Internet. (Worldwide) and all print media to include Billboards, magazines, and all digital and social media. 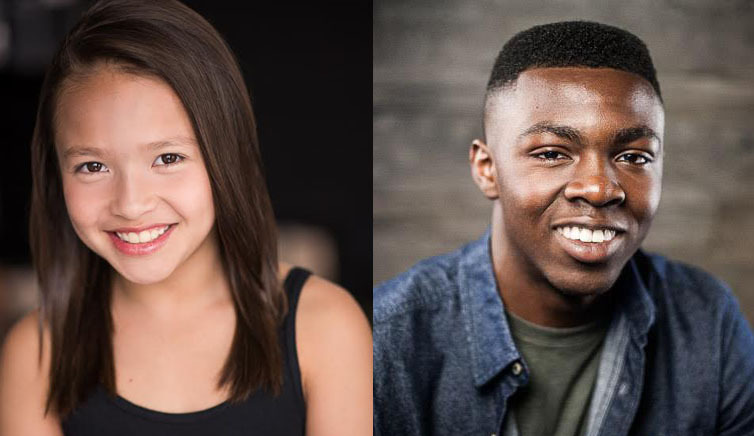 Kyla Wise has wrapped a role on Lifetime’s original movie The Lost Wife of Robert Durst,with Katharine McPhee and Daniel Gillie as Kathie and Robert Durst. Based on Matt Birkbeck’s book, “A Deadly Secret“: The bizarre and chilling story of Robert Durst, the movie centers on the wife of Robert Durst, subject of HBO’s documentary The Jinx. Young and wide-eyed, Kathie (McPhee) falls in love with charming yet quirky real estate scion Robert Durst (Gillies), only to find their marriage turning stranger, darker and more disturbing as time passes. When Kathie vanishes in 1982, her family and friends are deeply disturbed that her disappearance isn’t taken seriously by police. While Durst is currently in jail awaiting trial for the murder of his close friend, journalist Susan Berman, the questions linger as to what really happened to Kathie.The Lost Wife of Robert Durst pulls back the curtain on the world of Robert Durst and explores what may have happened between him and Kathie. The Lost Wife of Robert Durst is produced by Lincoln Square and Lifetime. 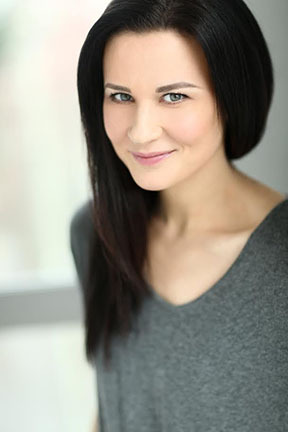 McPhee stars as Paige Dineen on CBS drama series Scorpion, which recently was renewed for a fourth season. Gillies plays Elijah on CW’s The Originals, which was renewed for a fifth season, and can next be seen in CBS’ new fall drama series Seal Team. Robert Durst married Kathie McCormack (later Durst) in 1973 and she was last seen alive on January 31, 1982. According to Durst, his wife got on a Metro-North train near their home in South Salem, New York and headed to their Upper West Side apartment, but she never arrived. Durst did not report his wife missing until Feb. 5, 1982. Don’t miss Ava Frye (left) in her recurring role on iZombie Season 3, Episode 10 and appearing right through to the season finale on CW and Netflix!!!! Peyton and Liv find themselves on a surprising wild goose chase; Ravi is terrified when the zombie truth hunters’ plans are revealed; Major finds comfort in an unexpected friend. iZombie is comedy/drama crime, horror, television series developed by Rob Thomas and Diane Ruggiero-Wright for The CW. It is a loose adaptation of the comic book series of the same name created by Chris Roberson and Michael Allred, and published by DC Comics under their Vertigo imprint. The series premiered on March 17, 2015. 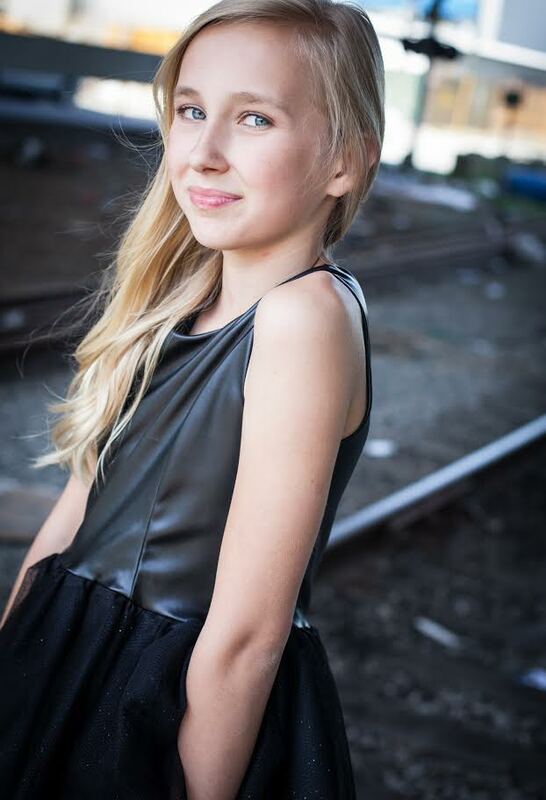 Gigi Jackman has booked a role in the feature film Distorted aka “Distortion“. Christina Ricci, John Cusack, and Brendan Fletcher are starring in the independent drama. Production starting May 28 in Kelowna and Vernon, British Columbia. Kevin DeWalt and Danielle Masters will produce, with Andrew Holmes and Ben DeWalt Co-Producing. 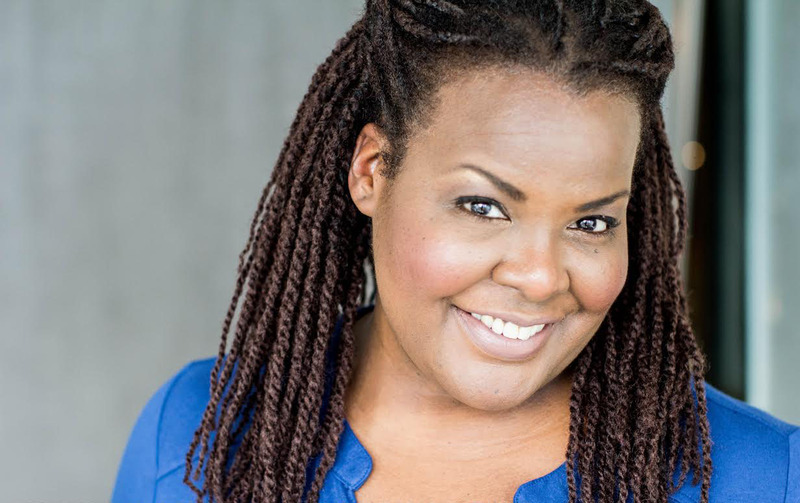 King recently directed “The Humanity Bureau,” a sci-fi thriller starring Nicolas Cage. He also wrote and directed the four-part Netflix original series, “Tokyo Trial”. Feature film production on “Distorted” will be made in multiple formats including Barco Escape and Virtual Reality . 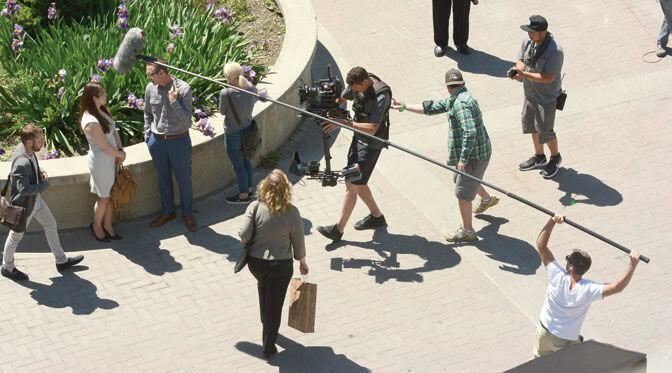 Movie personnel shoot a scene for the film Distorted at the downtown library plaza in Kelowna on Sunday afternoon. The movie stars Christina Ricci and John Cusack. 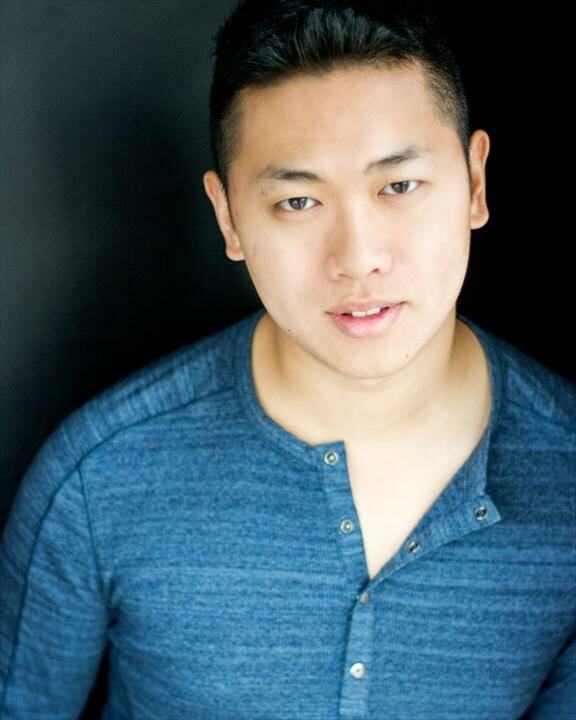 Mike Li has booked episode #208 of Travellers..
Storyline: Travelers is a science fiction television series created by Brad Wright, starring Emmy Award-winning actor Eric McCormack. The series is a co-production between Netflix and Showcase. The first season premiered on Showcase on October 17, 2016. The entire series premiered globally (outside of Canada) on Netflix, on December 23, 2016. The series is seen a hundred years in the future, the surviving humans discover how to send consciousness back through time, into people of the 21st century, while attempting to save humanity from a terrible future. Netflix and Showcase renewed the show for a second season. Season 2 production began in March 2017 ahead of a Canadian premiere in fall 2017 on Showcase followed by a Netflix release.